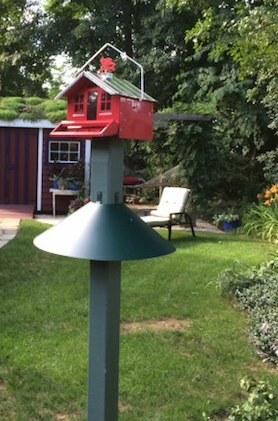 Sharing is Baffling: Put a Squirrel Baffle on that Birdhouse! 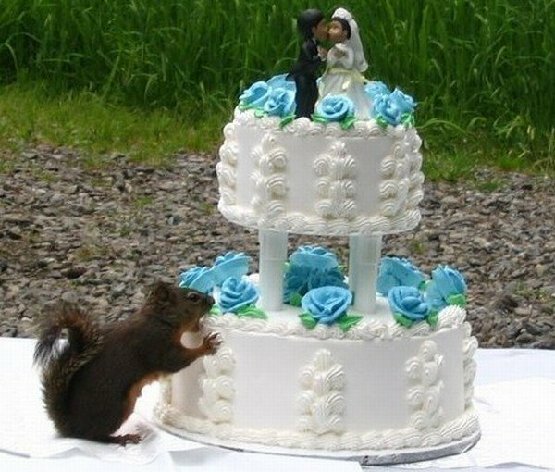 Some of us feed them while others despise them, but squirrels are usually a large part of bird feeding. 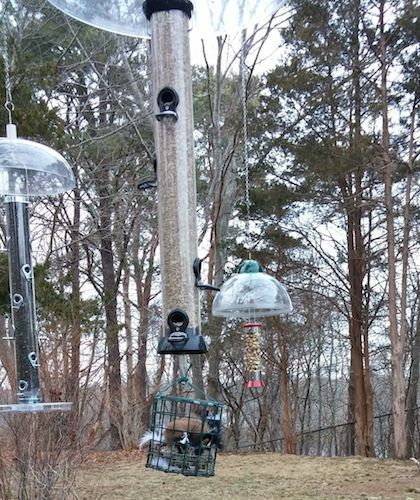 You can move the feeders, grease the poles or try any contraption, but the only effective and permanent way to keep critters off your feeder is with a squirrel baffle that’s placed correctly. In this case, correctly means the squirrel has no possible way of jumping from something else to gain access, and boy, can they jump! 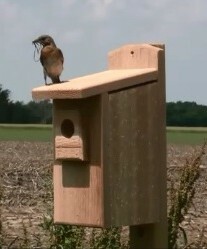 But baffles aren’t just for feeders – they protect birdhouses too! Or rather they protect residents inside those houses. Both squirrels and raccoons can and will destroy nests and eat eggs, raccoons will even consume baby birds. Devastating not only to mom and dad, it can be bad for hosts too should you happen to be monitoring the progress of your new tenants. If the birdhouse is pole-mounted, there’s plenty of options for a pole baffle, with easy wrap-around installation. These open for placement then lock into place. Hanging birdhouse? Not a problem! Simply place a hanging baffle above the birdhouse. With 20-inch diameter, it will deter pesky squirrels and raccoons. 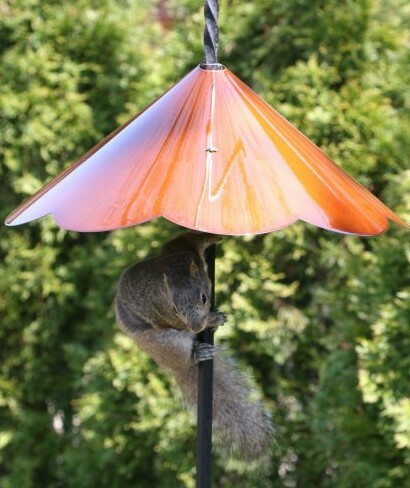 You can even make your own squirrel baffle with a few items from the local home improvement store. The Kingston and stovepipe baffles are popular designs among bluebird monitors. Just do a quick search for directions on how these are made. Offering places for birds to nest is a great way to entice them to your place without actually feeding them, and fresh water is another easy method to attract feathered friends. But if you put up housing for them… please make it safe! Watching babies grow and fledge is well worth preventative measures. 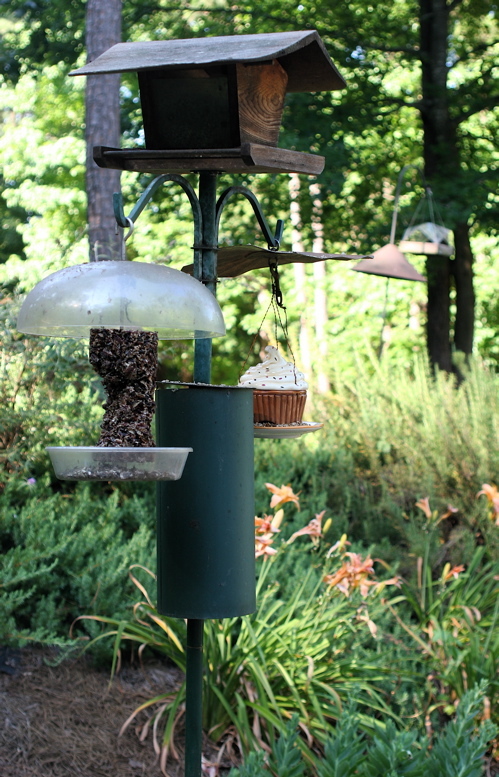 How to Squirrel Proof Bird Feeders that Work! Birds seem ravenous this time of year, feeders are being emptied at record rates, so nobody needs squirrels swiping seed! Partly due to the fall migration, and partly because resident birds know winter is coming soon. As daylight hours become shorter, birds flying south must fuel up for their long journeys, while many residents will simply cache seeds and nuts for future meals later in the season. Nuthatches and jays are famous for this practice. Many folks think squirrel proof bird feeders just don’t work, while others are bummed because the popular Squirrel-Away powder is no longer available. 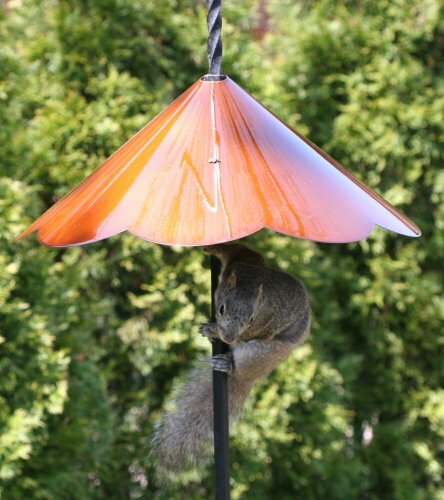 It’s amazing how many non-believers there are; from face-to-face discussions at a recent show, to customers from our website, they just don’t believe anything will deter their superman-like squirrels from feeders! 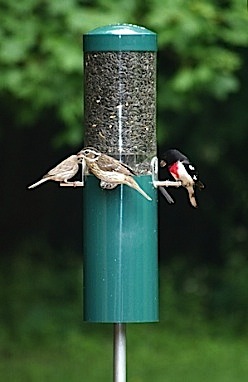 Ah… but there are ways, and it’s mostly about placement of the feeders themselves and using baffles! One secret is the “horizontal launching point”. 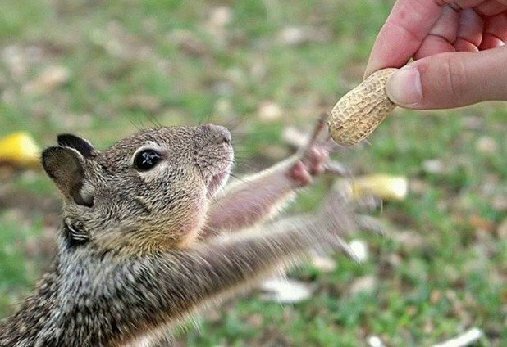 If squirrels can jump sideways from anything to gain feeder access, chances are they will – no, it’s guaranteed they will! 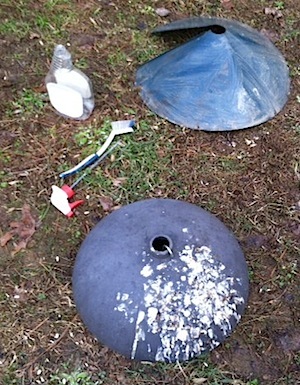 When placed correctly, baffles turn any feeders into squirrel-proof feeders. Be it hanging, pole mounted, or post mounted… they absolutely work at foiling the critters! For hanging feeders, the baffle circumference must be a good bit larger than the feeder itself – at least 1/3 larger. A 20-inch clear acrylic baffle works great, we use them in our yard. The bottom of this feeder should be no less than 4.5 feet from the ground. Lastly, it must hang at least 8 feet away from a tree trunk, pole, or anything else a squirrel might jump sideways from to gain access. 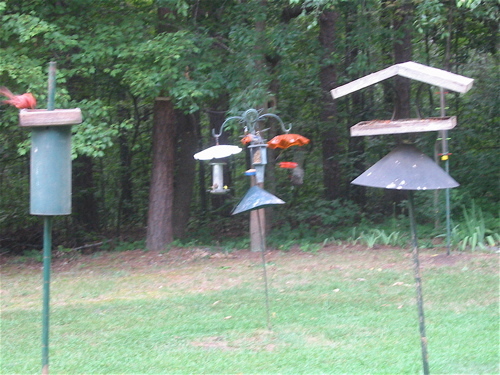 For pole or post mounted feeders, again be sure the bottom of the feeder is at least 4.5 to 5 feet from the ground. Remember the horizontal launch point – anything squirrels might jump from sideways to gain access. One other consideration is a potentially taller launch spot; anything the critters might jump down from to get to the feeder. A lot of thought for just one feeder? Maybe so, but well worth the effort! Say you have a a fancy shepherd’s hook that no baffle will fit over on either end? Not a problem with an innovative locking baffle that opens for fast installation. Some pole systems have built-in baffles that are excellent at thwarting squirrels. The Squirrel Stopper is one such system. It’s received fantastic reviews because of sturdy construction, durability and good looks! Hang up to eight feeders, baths or even flower baskets from this gem! It’s a matter of “if you build it – they won’t come”. 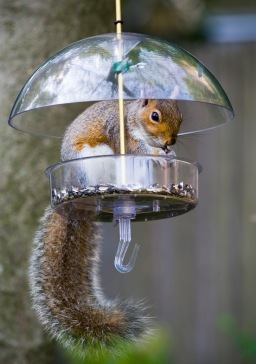 By putting some careful planning in place, you can squirrel proof any type of bird feeder against pesky squirrels! What a blasted mess, and they were just cleaned a few weeks ago too! Starlings, European starlings have got to be the most annoying, nastiest bird in our yard. It’s usually temporary and then they move on. But sure as day if they start nesting around here, a scope will be a near-future purchase! Yes, it’s legal to shoot them, aggressive, invasive and non-native, they wreak havoc on native nesting birds like bluebirds, tree swallows and purple martins. Not to mention, they make the worst mess and hog all the food too. Like magicians, a tray full of mealworms can disappear in no time flat! These baffles were just removed and cleaned not long ago. Starting with pole-mount squirrel baffle (at top) the picture was snapped before cleaning the hanging one. Why? Because there was a post on a social site glorifying starlings! Huh, are you kidding me? How could anyone possibly favor this bird? Is that not one of the filthiest things you’ve ever seen? Using a squirrel baffle won’t stop starlings, but it sure does stop squirrels if used properly. If a feeder is hanging from a pole or shepherd’s hook, the pole-mount ones work best. They’ll keep squirrels from shimmying up the pole, but the bottom of the baffle must be at least must be at least 4.5 feet from the ground. Otherwise, they’ll jump right passed it. These wrap-around styles are perfect if there’s a ground stake at bottom, or decorative piece at top. Smart, smart design! 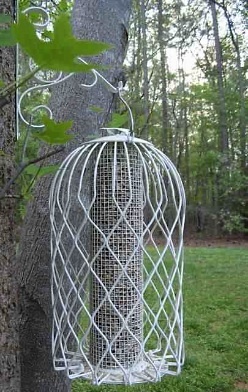 If your bird feeder hangs from a branch, then a hanging baffle would be appropriate. 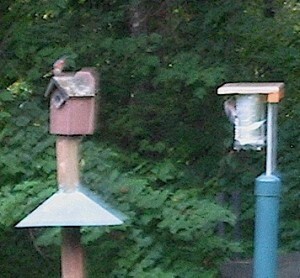 It blocks squirrel’s from climbing down onto the feeder from above. Feeder placement however should be at east 8 feet away from anything squirrels might jump from (sideways) to gain feeder access. 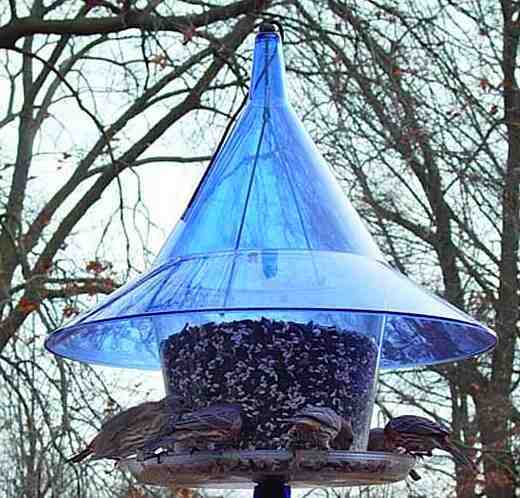 The bottom of the actual feeder should also be at least 4.5 feet from the ground. These general specs usually work well… unless you happen to host the occasional uber-squirrel! Feeder and baffle placement may then require some tweaking to avoid the critter’s shenanigans in full! As far as the starlings? They do make traps for these pesky birds… but you’re on your own. Actually the website Sialis.org gives some great examples on starling and house sparrow control if you’re hosting native cavity nesters in your yard. Be gone dreaded starlings and come on spring! … They’re not just for feeders! That’s mom. bluebird feeding nestlings as dad looks on from his favorite perch – sorry about the poor photo quality. The houses appear closer than they really are, and there are two schools of thought on this: Pairing houses 10-15 feet apart will sometimes eliminate competition for the nest box, while the other is that bluebird houses should be at least 100 feet apart as they’re very territorial birds. 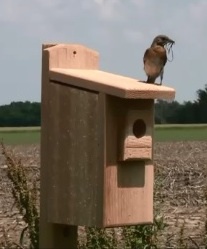 But this setup has seemed to work well in our yard over the years, as titmice or chickadees claim the wooden box, while bluebirds always go to the Gilbertson first. That’s actually a heat shield wrapped around the house, as temperatures were sweltering during the blue’s last brood. One of those car windshield heat deflectors… easy to cut and works perfectly! 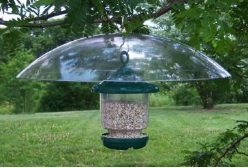 Not only for feeders, a squirrel baffle offers protection for eggs and nestlings. Raccoons and squirrels are less likely to mess with babies inside a house if they’re baffled. Curiously puzzled and blocked! 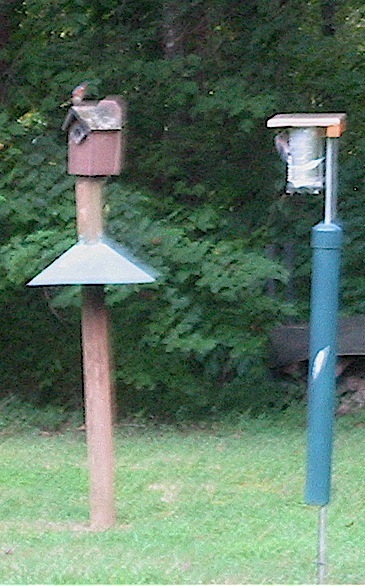 In all sizes and shapes, for poles, posts, or hanging, squirrel baffles work when used correctly. This entails sizing up any “horizontal launch point” which is just making sure the furry acrobats can’t jump sideways from anything that would allow access to the house or feeder. Remember the crafty critters’ sideways jumping capability is about ten feet! 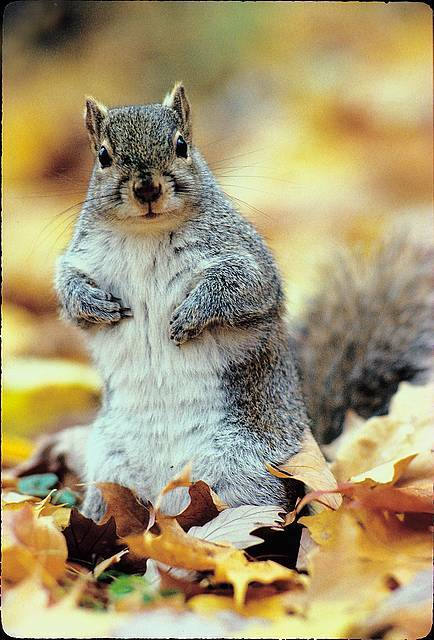 Did you celebrate squirrel appreciation day with new squirrel feeders? I’ll bet not. Most backyard birding folks hate them… with a passion! Not only for raiding bird feeders, they’ve also been known to destroy nests, eggs and hatchlings of favorite songbirds. Can’t say I ever fed one by hand, but ours are pretty spoiled! They never mess with any of the bird feeders or houses, but it’s not for lack of trying! EVERYTHING has a baffle, and they really work at keeping the critters at bay. This minimizes frustration to the max, and it’s got to be the best solution to bird feeding in peace. It’s no wonder they make about 5000 different models of squirrel-proof bird feeders, predator guards for houses, and baffles for poles! 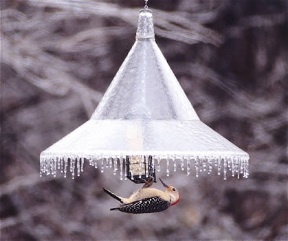 Whether the bird feeder is pole-mounted or hangs… there’s a baffle to accommodate it. If you’re one who does not appreciate these furry friends and are fed up with their antics… maybe it’s time to get serious and install baffles? You’ll be really glad you did, and will save money in the long run. So just how did rodents earn an “appreciation day” anyway? For some unbeknownst reason, the universe made them kinda cute. And it’s pretty weird that even when they get old, they still retain their good looks, wit and charm. 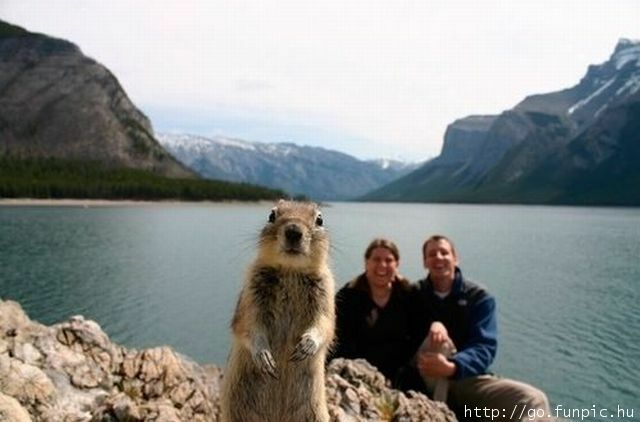 Bet this couple really appreciated his antics – what a keeper of a photo!